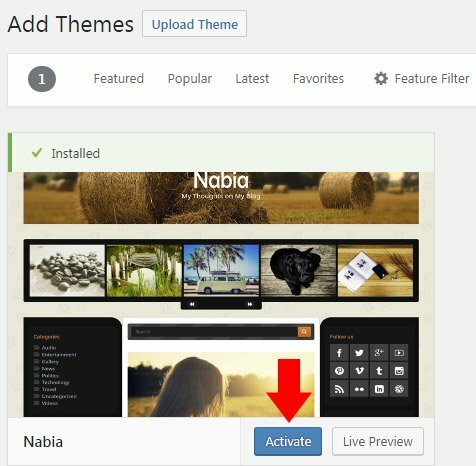 Now that you have installed WordPress, you need to choose and install a WordPress theme. A default WordPress installation includes three themes. Currently, these are Twenty Fifteen, Twenty Sixteen, and Twenty Seventeen, but usually, the WordPress team create a new theme for every major WordPress release. I usually use other themes for my sites, so I just delete two of these default themes to free some space on my web server. I typically leave the latest theme just in case I ever have to disable my primary theme (usually for debugging purposes). A WordPress theme is just a template that gives your site the appearance, and sometimes additional features. Can I use an HTML template for my WordPress site? A theme also has a particular structure, and while a web designer can convert an HTML template into a WordPress theme, you cannot just use a simple HTML template as a theme for WordPress. WordPress probably has tens of thousands of themes. Many of these templates are listed in the official WordPress theme repository and can be used for free. There are also many companies who develop and sell premium WordPress themes. Since I know how to code, I usually make custom WordPress themes for every one of my sites. That’s mostly because I like my sites to have a unique design. So, the design is the first criteria for choosing a WordPress theme. Determine which are your needs and what’s the purpose and the niche of your site. With these aspects well-defined in your mind, it should be easier for you to select a theme for your website. A second factor for establishing if a WordPress theme is suitable for my site is the quality of theme’s code. I know that this aspect is impossible to determine if you are not a programmer, but you need to know that the themes listed on the official WordPress site are verified manually and have to pass the WordPress coding standards. So, every theme you download from WordPress.org should be pretty safe to use. A poorly coded theme can make your site very slow, can include malware, adware, or can allow security holes and your site might end up hacked. In fact, the reason why the majority of the WordPress sites are hacked is that these websites use a terrible coded WordPress theme or plugins. Even if you purchase a theme, that doesn’t necessarily mean it’s a good theme. It’s true however that a premium theme should be way safer to use than a free item found on an unknown website. Even though you might be tempted to buy an eye-catching WordPress theme that fits “all the possible scenarios,” as a WordPress developer, I strongly advise you not to do that. If a theme has never been updated since the initial release date, run away. Even though the theme might function absolutely correctly after not being updated for a few years, if a theme hasn’t been updated for more than a year, it might be a sign that the theme’s development has stopped and the theme was abandoned. If that happens, there’s always a chance for the theme to stop working on a future WordPress update. Even though the WordPress updates don’t typically break themes or plugins, your theme might start showing error messages and warnings to your site’s visitors. 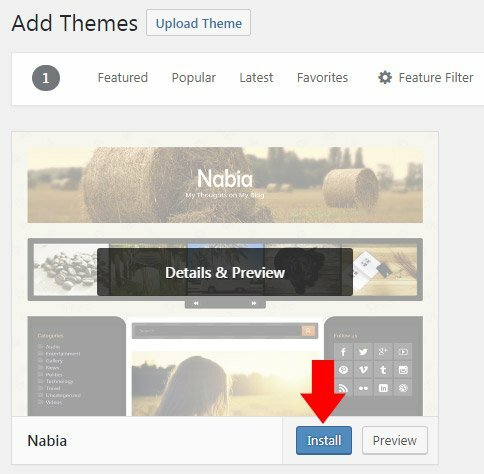 The free themes from WordPress.org always display the date when the theme has been last updated on theme’s page. If you purchase a premium theme, make sure before making the purchase that the theme is still updated. You can even send a message to the support team before buying the item and ask for any info you need. The free WordPress themes have usually fewer features and many of them have poor support. Most people recommend the premium WordPress themes over the free ones. However, just because a theme is a paid theme, that doesn’t necessarily mean that’s a good product. There are many companies and marketplaces who sell WordPress themes. These companies usually have hired developers to do the coding, while the marketplaces allow different theme authors to submit their work to the marketplace and get a percent for each sale. Because there’s a fierce competition for the developers selling their work on these marketplaces, they usually add more features than a theme needs. The intention of these people is to add more features to their products than the competitors, so they make more sales. Despite the fact that most of these marketplaces have a strict theme review process, due to a large number of user submitted products, the reviewers might still make mistakes and approve poor coded themes. These marketplaces usually put greater emphasis on the graphic design of the theme instead of the code quality and the overall performance of the theme. If you want to purchase a premium WordPress theme, I’d recommend you to buy from the companies that have in-house developers than from the online marketplaces. Fortunately, WordPress has made the theme installation process extremely simple. To install a new theme, you don’t have to upload the theme’s files manually, and you don’t have to write any code to activate the theme. Everything is made using the WordPress dashboard. Let’s assume you have purchased a premium theme and you have now a “.ZIP” archive saved to your computer. The first step is to upload the theme to your site. To achieve this, log in to your WordPress site with an account that has administrator rights. 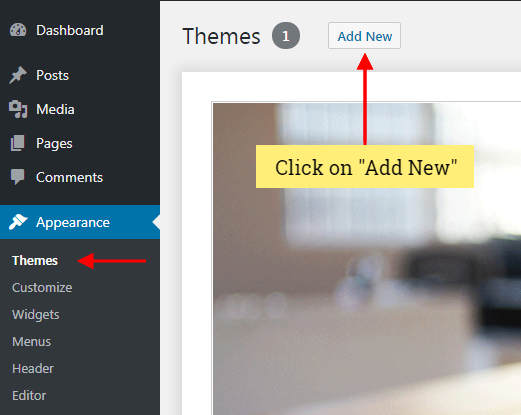 Next, go to Appearance–>Themes menu and click the Add New button from the top-left side of the page. Next, click on “Upload Theme“. Click the “Browse” button (this button might have another name based on the language of your web browser) and select theme’s ZIP archive from your computer. After you select the theme, click on “Install Now“. 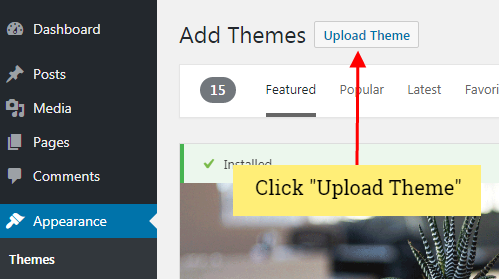 It might take a few seconds or a few minutes until the theme is uploaded based on the size of your chosen theme. After the theme is successfully installed, click the “Activate” link. If the theme has been successfully activated, you should see a “New theme activated” message. If you’ve decided to install a free theme which is in the WordPress.org theme directory, then you don’t have to download the theme to your computer and then upload it to your site. Instead, you can tell WordPress to download the theme straight from the repository. Go to Appearance–>Themes menu and click the Add New button from the top-left side of the page. Next, instead of uploading the theme from your computer like in the case A, you will now type the name of the theme in the search form from the top-right side of the page. If the search returns multiple themes, simply find the desired theme from the list and place your mouse cursor over theme thumbnail image. Next, click the “Install” button. Wait until the theme is downloaded and uploaded to your server and then, click the “Activate” button. That’s all, your new theme should be now active and live on your site. The main role of a WordPress theme is to give the style of your website. However, leaving aside the visual aspect, there are also other things you need to consider before choosing the theme for your blog. The most important criteria are theme’s code quality (since this can lead to security and performance issues) and the latest date when the theme has been updated. Now that you know how to install WordPress themes, you need to learn how to install the necessary plugins.